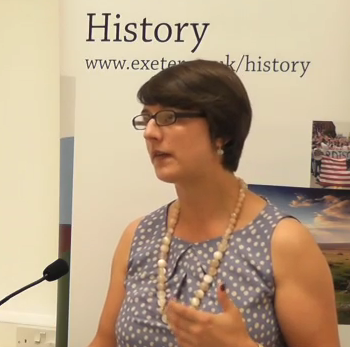 In this video and audio podcast Dr Catriona Pennell, Lecturer in History at the University of Exeter, discusses the British response to the outbreak of War in 1914, exposing the reaction to be much more complex than traditional images have led us to believe. Watch and download the podcast at: http://podcasts.ox.ac.uk/rethinking-british-volunteerism-1914-rush-colours-video. This podcast is part of the series First World War: New Perspectives available on Oxford Podcasts. 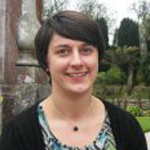 My research focuses on the cultural history of war, particularly the First World War. I am interested in how familial and local experiences of the war can help us understand the broader framework of this unprecedented global conflict. I have recently published a monograph based on my doctoral research that examined popular responses in Britain and Ireland to the outbreak of the First World War. In my next project, I would like to continue my interest in the Irish narrative of the war by examining the home and fighting front experiences of the 36th (Ulster) and 16th (Irish) divisions during the final spring offensives of March 1918. Moving beyond the First World War, I would like to develop my interest in the post-war Middle East, particularly the British mandate period in Palestine, Iraq and Transjordan, to examine imperial control in practice and the question of ‘power’ behind the mandated thrones. This entry was posted in Consent, Dissent and Revolution, Teaching and tagged 070 (News media journalism publishing), 399 (Customs of war & diplomacy), 900 (History & geography), 940 (General history of Europe), PN4699-5650 (Journalism), Podcast, UA (Armies: Organization - distribution - military situation). Bookmark the permalink.